Pikes Peak International Raceway (PPIR) is a destination participatory motorsports and entertainment venue located in the Pikes Peak region just south of Colorado Springs in Fountain, CO. PPIR is a regional hub for all things automotive and the place to push the envelope on your motorsports expectations. 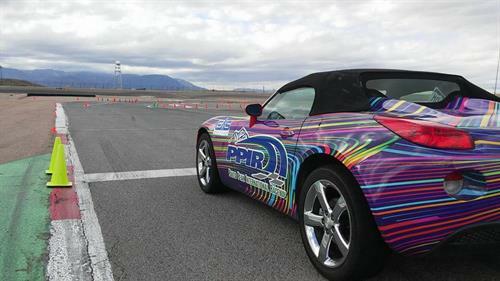 PPIR facilitates fun for everyone 365 days a year, with a schedule packed with participatory driving events, all which allow drivers of all skill levels to get on track and fuel the need for speed. This includes the PPIR Drive 365 program, Time Attack and Drift series, Performance Driving Xperience, open lapping and test days, professional team testing, race schools, and racing club events. The facility is also used for a variety of sanctioned races, OEM product launches and testing (proving grounds), ride and drives, commercial and film shoots and more. 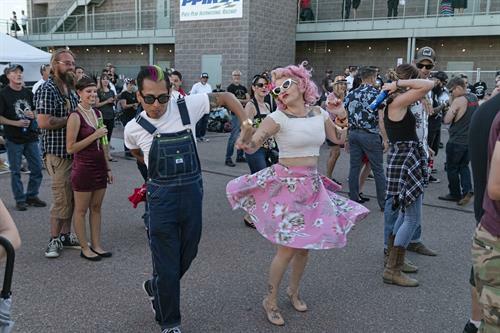 In addition to motor-sports, PPIR also hosts a wide variety of group and corporate events, such as conferences, meetings, parties and proms, and “human powered” events such as runs, concerts, and festivals. PPIR offers a variety of racing surfaces and event facilities able to accommodate almost any type of event. The property includes; a banked one-mile oval, 1.3-mile interior road course, 12-acre paved drifting and autocross lot, 1/4 mile flat oval, 1/8 mile pit lane drag strip, as well as a variety of classrooms, banquet halls, and conference and multi-functional spaces. For more information call 719.382.7223.